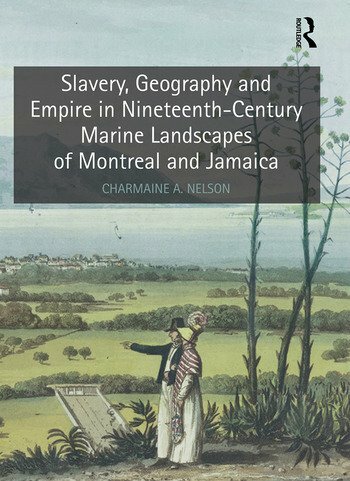 Slavery, Geography and Empire in Nineteenth-Century Marine Landscapes of Montreal and Jamaica is among the first Slavery Studies books - and the first in Art History - to juxtapose temperate and tropical slavery. Charmaine A. Nelson explores the central role of geography and its racialized representation as landscape art in imperial conquest. One could easily assume that nineteenth-century Montreal and Jamaica were worlds apart, but through her astute examination of marine landscape art, the author re-connects these two significant British island colonies, sites of colonial ports with profound economic and military value. Through an analysis of prints, illustrated travel books, and maps, the author exposes the fallacy of their disconnection, arguing instead that the separation of these colonies was a retroactive fabrication designed in part to rid Canada of its deeply colonial history as an integral part of Britain's global trading network which enriched the motherland through extensive trade in crops produced by enslaved workers on tropical plantations. The first study to explore James Hakewill's Jamaican landscapes and William Clark's Antiguan genre studies in depth, it also examines the Montreal landscapes of artists including Thomas Davies, Robert Sproule, George Heriot and James Duncan. Breaking new ground, Nelson reveals how gender and race mediated the aesthetic and scientific access of such - mainly white, male - artists. She analyzes this moment of deep political crisis for British slave owners (between the end of the slave trade in 1807 and complete abolition in 1833) who employed visual culture to imagine spaces free of conflict and to alleviate their pervasive anxiety about slave resistance. Nelson explores how vision and cartographic knowledge translated into authority, which allowed colonizers to 'civilize' the terrains of the so-called New World, while belying the oppression of slavery and indigenous displacement. Charmaine A. Nelson is Professor of Art History, Department of Art History and Communication Studies, McGill University, Canada.